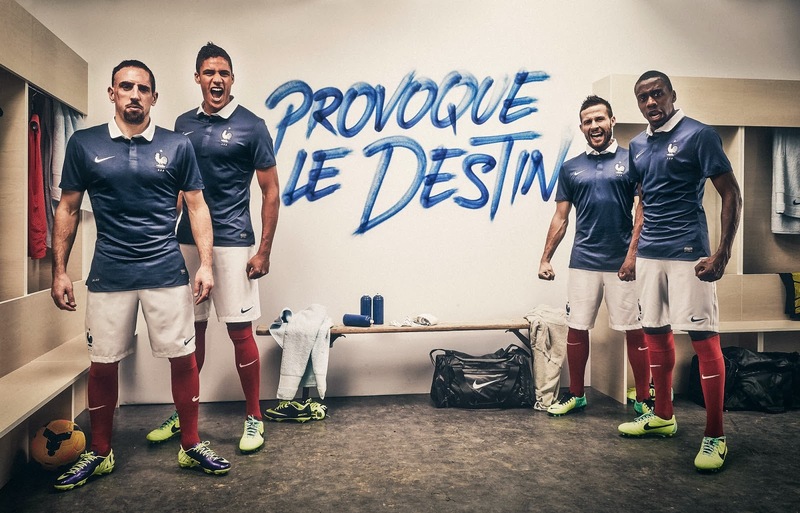 'Provoque le destin' campaign to launch the new shirt. -Honours: 1 FIFA World Cup (France 1998); 2 UEFA European Championship (France 1984, Belgium-Netherlands 2000). Well... six months later (maybe more?) I've beaten the laziness that kept me away from updating the blog. Luckily I've had no laziness to buy new shirts, some of which are really rare and beautiful. Anyway, sorry to whoever that often read me. The Three Wise Men have been really generous, I received some presents for my birthday, too; even Santa Claus came to my house this year. This France shirt I got for my birthday has undoubtly become one of my favourites; after the mess FIFA and Adidas are causing with its all-one-colour kits, it seems like Nike won't respect this regulations. Thanks Nike. On the other hand, I should say that I want to become Nike designer one day. Sticking a new crest and changing the colour of the collar (see France 2011/12) might not be a hard task. -Special features: replica version features (Dri-FIT fabric, embroidered Swoosh and club crest).